Click on links above to review summaries for Wisconsin Tier 1 and Tier 2 industrial stormwater discharge permits. Wisconsin Department of Natural Resources (WDNR) maintains two general permits, “General Permit to Discharge under the Wisconsin Pollutant Discharge Elimination System WPDES No. WI-S067857-3. Tier 2 Industrial Facilities” or “Tier 2 permit”. 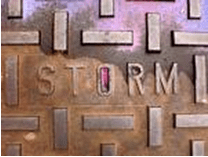 This permit covers stormwater discharges from certain types of industrial and “industrial-like” operations that are required to have a stormwater discharge WPDES permit. WDNR has also issued special permits for facilities engaged in the wholesale or retail distribution of used motor vehicle parts and establishments engaged in dismantling motor vehicles for the purpose of selling parts “General Permit to Discharge under the Wisconsin Pollutant Discharge Elimination System WPDES No. WI-S067845-3. Dismantling of Vehicles for Parts Selling and Salvage”. Click here for more information and past example projects on SWPPP and industrial storm water permitting. Click here for examples of Caltha LLP projects in Wisconsin.